Hi Friends: I have come to realize two things... I am sorta spoiled, and my mom has great friends. I turned 10 years old in December, and am living the life that all pets should experience. Lots of love and kisses from everyone. Mom is getting ready for the Valentine holiday. I am getting lots of naps. I still feel like a pup even though i'm 50 in people years (I found out that small guys, with big attitudes, like me don't age as quickly as the big guys, which made my mom very happy). Come see me soon! Don't look now but my mom brought in wine to make baskets with flowers or chocolates, or maybe just to sip after hours...I'm not sure, but she seems really happy! Just kidding!! I tried some Fou Fou Le Blanc wine that dripped on the floor and I have to say that I really loved it! (The poodle on the label didn't hurt either) Come see me and let's play and have some Fou Fou together! PS Bring treats! My birthday is this month. I love that i spend all my days, of all my life, with my mom at the florist. It has been a busy few months...the hurricane did a lot of damage and made my dad move their other business in with the flower shop, but it has been fun having him here too! I have so many favorite friends who bring me treats all the time: Jane, the UPS man, Teresa, and oh so many! When the group gets together at my mom's design classes at night, I get lots of hugs. My mom is so busy getting ready for Christmas now. Hope you all come by and wish me happy birthday (treats) on December 14th, when i turn 9 years old! To welcome in Autumn, which I love, today's dogblog is in a beautiful shade of brown! My days are filled with playing with all the kids who come to see the new farmhouse, getting snacks from Aunt Jane, Aunt Sherri, and well a whole bunch of "Aunts"! I will be 9 in December and hope you'll send me a birthday card, maybe with a treat in it! My mom is always working but takes time every day to play with me. I think she loves me a lot, and i love her too! If I had thumbs I would: get any treat I want from my mom's office any time i want...I would open the door to the outside and go chase squirrels..and water the telephone pole regularly...I would jump in the van to go with my mom when she leaves on an errand and makes me sad...I would NOT go to the doggy doctor office...I would pull the covers up over my head...I would answer the phone at work with a "bark" and make the customers wonder who they were talking to...I would hold on to the neck of the customers i greet....Aren't you glad you have thumbs? Since this is Valentine's month I decided to touch paws with all my friends in red! Did you know my mom's hair is red? I am not sure where I got my hair color from...I think I'll ask, maybe it was Dad. Well, back in October mom opened a new farmhouse store next to the florist, so now i have even more room to run and play all day! She filled it up with all kinds of pretty wood furniture, metal bowls (I think that they should be for my food), and a bunch of things! My Aunt Jane brings me treats all the time. So does the mail lady. I don't let them know that they both bring me delicious snacks (I'm smart that way)! I turned 8 this year, but i still think i'm a puppy! I still bark at everyone when they come in, followed by kisses and more friendly barks. They love me, i'm pretty sure. Mom teaches flower design classes and all the ladies that come to her classes rub my belly. Sometimes they drop the food my mom has at class for them, and I "clean it up" for them! I LOVE when we have classes. Come see me my PAWsome friends! I think I'll title this blog "If Rocco doesn't get belly rubs & treats, nobody's happy"
....but not because I don't get them, and frequently. See my mom, Ladonna, is pretty well wrapped around my finger. I give her those "I'm precious" eyes, do a little beg with my paws and done! What I don't know is how she gets any work done because I'm pretty...let's say insistent on her attention all day long. But she loves me a lot. I am at all the florist classes, and greet everyone when they come in. So, since I don't get to come on here very often, hope you all had a great 2016, filled with sniffs of pretty flowers, chasing bunnies (but never catching), and tasting all the delicious things put on your plate. Here's to a PAWsome 2017! Until then, puppy kisses! Summer is finally here... when I love to romp and play outside, but my favorite, favorite thing is to, well, first bark at everyone that comes in to my mom's florist to let them know i'm here and that they need to give me lots of attention, and second, to show them all around the store at all the different gift items mom has here. I barely have enough room to run around n the store, but i manage. Hope you have a great summer too and remember that when you come in to Hobby Hill Florist, if you don't find me, i WILL find you...and lots of kisses to follow! When Ladonna gets busy, she doesn't think that I MIGHT want to talk to all my fans! I had a great 2014: chased lizards, greeted so many people at the florist, visited my dad's jewelry store (Sebring Jewelers), went on lots of rides with mom to pick up plants. One thing that never gets old: barking! lots and lots of barking! I bark to say hello, I bark to say goodbye, I bark when noone pays attention to me...I will bark for pretty much any reason! Oh and for treats!!! I love my groomer/second mom "Cheryl" she is awesome!!! Sometimes I stay with her (she lets me sleep in the house!!) So, my mom (Ladonna) won "best florist" in 2014...I'm so proud of her. I turned 6 years old on December 14, 2014 (middle age!). I got a new bed for Christmas...like 4 beds weren't enough! Lora Todd at Dog Town brought it to me personally and it is so comfy!!! Happy 2015 everybody and til I get to blog again "Bark On, Garth"! I think my mom forgot how much I love to visit with you all! I've been begging :) to post on my blog, so finally I got the treat I love! It has been so busy at the florist...so many things going on and great updates coming for the florist. 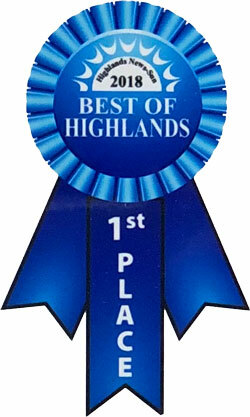 First, Hobby Hill Florist was voted "Best Florist 2014", and I'm so proud of my mom and Margaret! Sometimes they are so busy, they forget to take me out to the bathroom...so I have so speak up! Oh...another thing...my mom has been working on a pretty sign for the van for a very long time now...she makes doodle drawings all the time and wait till you see how pretty the van is going to be. AND...she's working on the inside of the store...she hardly has any time for me! Ok, Ok, this is Ladonna now...that is not true, I spend lots of time with Rocco every day, he gets to run and play and visit with everyone that comes in, but it is true that we were voted best florist & I'm so thankful, and it is true that the van will be pretty and recognizable soon and the inside of the store is getting prettied too. So for now Rocco says "Come see me...and bring me treats!" March 27, 2013 Hi: I'm Rocco and I own Ladonna! She thinks she is my mom :) I love her very much when she gives me treats. This is my first time on a computer so if I spell wrong, remember that I only have four fingers on each hand. Today was a great day...I played with my bone, sniffed all the new flowers and barked when lots of people came in to the store to see me. Come play with me soon! Wow! My mom has been so busy that she forgot that I needed a bath! I think she finally remembered because I am STINKY! Whew! (I really don't think I stink, but she does). OK, here's why I am dogblogging today: my friend, Retta, who works at the police station in Sebring came in to the florist the other day and I was told she asked where I was. Retta: if you read this...sorry I didn't get to play with you! Please come see me again and bring me treats!! Love giving you dog kisses! (OK this is Ladonna now...I have never seen anyone who loved to get dog kisses more than Retta, who is also known as Maggie. She loves her some Rocco!, although Mike Adams loves Rocco a bunch too!!!) Back to Rocco.... so my actual point today is to remind you that Administrative Professionals Day is coming up this month and you need to send flowers so that my mom will buy me a new bed because I think I am too big for my bed now!! Today my mom spent ALL day with me at home. I was so happy, chasing (but not catching) lizards. I am all better now after I was bitten 8 times by bees in our yard. My mom rushed me to Dr. Jernigan on a Saturday night and he met us there to take care of me. Mom was so scared. She just finished two weddings yesterday and she worked so much that I didn't get to play much at all, so I slept a lot! Next week she told me she is going to be busy again with Mother's Day...wonder what I should get her? Any ideas? Come see me soon! Wow! It's cold here today. So glad I have a warm place to live with a comfy bed, treats and all the food and water I need. Some of my friends aren't so lucky, so I talked to my mom about helping them out and here's what I came up with: Buy some flowers before February 15th and my mom will donate 5% of the bouquet price to the Highlands County Humane Society. Awesome...or should I say "Pawsome!" AND she said that if you want to add some to the donation you can right on the website www.hobbyhillflorist.com or when you come in or call just be sure to mention the offer for the humane society.